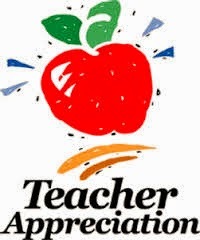 On Monday, May 19th, the PTA will host a Teacher’s Luncheon where a variety of delicious dishes are served to show our appreciation for the hard work they do all year. It’s your favorite dishes and secret recipes that always make this event a success! We need your help! Please email or call Elena Rosnov-Dundin and let her know how you can help. ***Please carefully label dishes and utensils that you would like returned. They will be in the AP room that afternoon. Our teachers look forward to this luncheon each year, so lets make this a success!